I own at least one bottle of every Chanel foundation formula currently sold, plus a couple bottles and compacts of discontinued formulas. Hence, it must come as no surprise that I am very particular and nit-picky when it comes to reformulations of the foundations. Chanel's new oil-free, non-comedogenic Vitalumiere Aqua Fresh and Hydrating Cream Compact, $58, is the replacement for the now discontinued Teint Innocence Naturally Luminous Cream Compact. The Vitalumiere Aqua Cream Compact was well received in Europe and Asia, and I agree with the rave reviews. 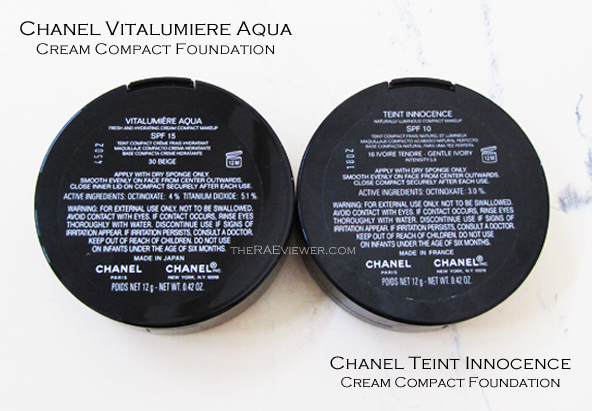 It is officially my favorite Chanel foundation. Keep reading to see why! The packaging is identical to that of the Chanel Teint Innocence Cream Compact. I adore that the compact is easy to travel with and throw around, not cumbersome at all! It is a lightweight black plastic 'tin' of sorts with a separate interior compartment for the foundation. The foundation comes with a standard white sponge, but it is quite useful when on the go. The only troublesome bit is that the cover for the container of the foundation refuses to stay securely shut. It lifts easily, which will dry out the product slightly even when the outer clamshell is shut properly. It is not a serious concern, but I felt compelled to mention it so that you could watch for the lifting of the lid if you decide to purchase this foundation. 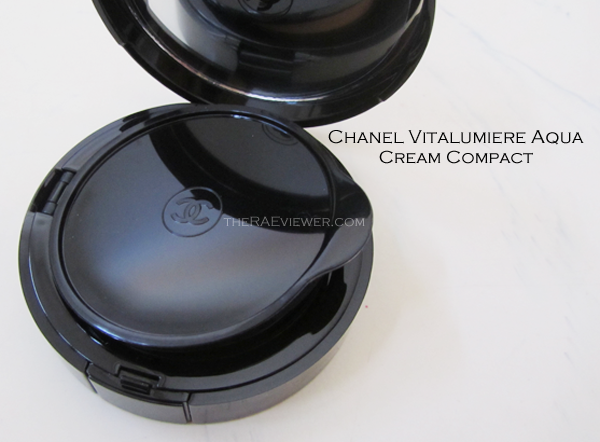 And according to my Chanel SA, the Vitalumiere Aqua Compact is unfortunately not refillable, just as with the Teint Innocence Compact.. a shame, since we are paying a premium for the clamshell packaging. The discontinued Teint Innocence Cream Compact only had an SPF of 10 and was made in France. 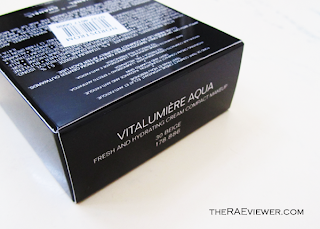 The new Vitalumiere Aqua Cream Compact has an SPF of 15 and is made in Japan. The TI compact was best at sheer even though buildable to medium, the new VA compact is perfect at medium. The new VA compact has noticeably more pigment so you can use less product to even out the skin tone, diminishing freckles, but not completely covering them. The directions will instruct you to apply with a dry sponge only.. just do not use a wet sponge or wet brush, is all. As I mentioned, the dry sponge method is fine but I found that a smaller, dense natural hair brush like Tom Ford's Cream Foundation Brush was the best application method to achieve well blended medium coverage. It looks great when applied sheerly, too, takes very little effort. 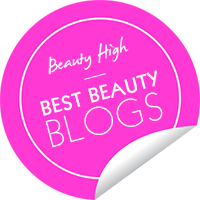 The formula is indeed hydrating, but it also feels fresh and relatively light against my relatively normal skin. I do lean dry-combination, so I am not a fan of overly luminous foundations because my nose is always the first to get excessively oily, but this cream compact formula makes my skin luminous without too much 'glow' on any one part of my face (and that is without use of a primer). The Vitalumiere Aqua Cream Compact also does not take any extra effort to blend out streaks, which was my main gripe with the Teint Innocence Cream Compact's formula. The previous formula was ideal for use under the eyes and in the center of the face since it had enough pink to counteract my dark circles and provide a natural brightening effect, but it required a good primer to cover evenly all over the face. Also note that I was much fairer when I purchased the TI compact, the fairest I've ever been. Furthermore, setting powder was also a must to keep it from slipping around the corners of the eyes, mouth, and nose. The new VA compact lasted a 6 solid hours when set with La Mer's Loose Powder before it started to noticeably fade, excellent numbers for a hydrating compact makeup! The TI compact only last four hours before separating. The new VA compact did not splotch while fading, but I have not tested it alone so these observations will be most helpful to those with relatively normal or dry-combination skin who always set foundation with powder. I do not have any dry spots at the moment, so I cannot attest to how good or how bad it will look on dry/very dry skin, my sincerest apologies. Now for the colors. Generally speaking, those of Asian descent will require a yellow-based foundation. 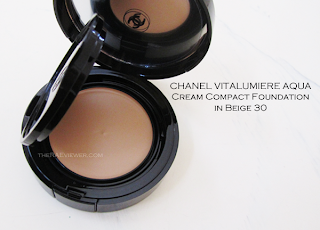 The Beige color range of the Chanel Vitalumiere Aqua Cream Compact is now the best of all the Chanel foundations for those with yellow undertones, something the otherwise perfect Chanel foundation range lacked. The Beige Rose shades - pink tones. Perfection Lumiere's launch last year alleviated the demand a bit, but it was not enough. 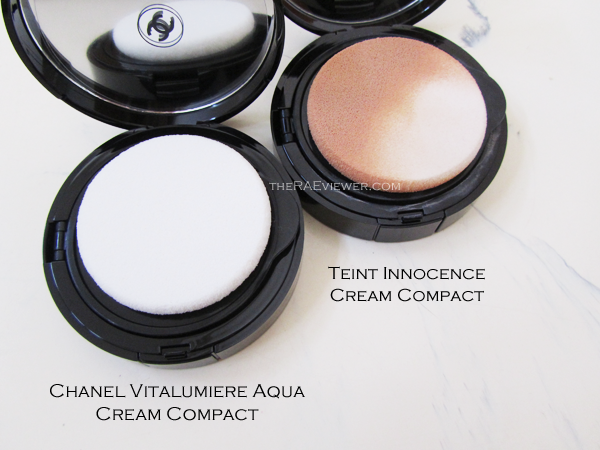 The shades of this new compact were intended to mirror those of sister foundation Vitalumiere Aqua Skin Perfecting Liquid Makeup, but I did not find that so at all. That made me very happy because I had been worrying that the colors would be too pink! So as much as I love the liquid formula for when I need a long-lasting matte finish, the cream compact is ideal because of the color match. 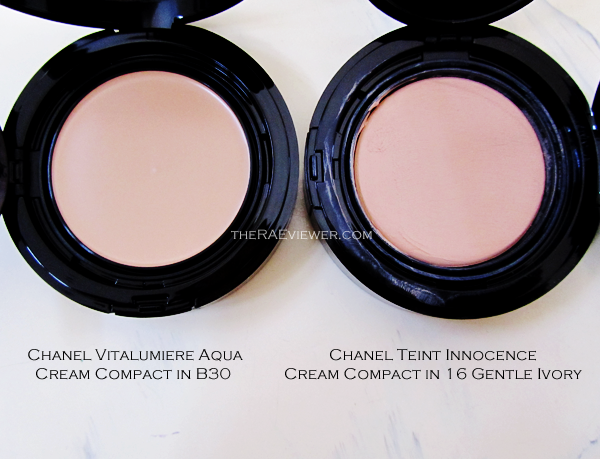 See the comparison swatches of the VA Cream Compact and the VA Liquid below, both in B30. 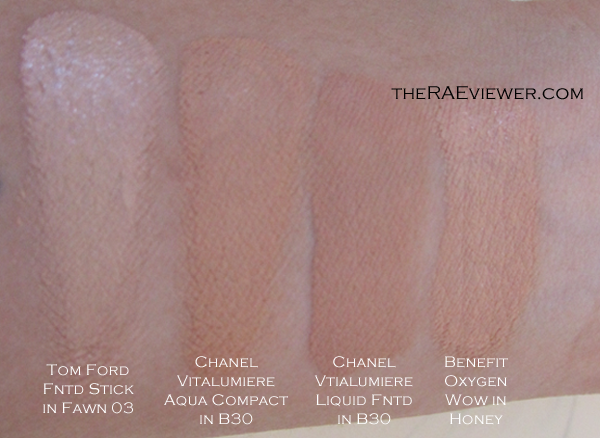 B30 in the Liquid is significantly darker than in the Cream, the Liquid is noticeably cooler/pinker on my face! Bottom Line: This is the best cream compact makeup for my skin tone and combination/sensitive skin that I have ever encountered. And not quite relevant but the worst? Smashbox Camera Ready Foundation.. it looks flawless for one hour, then separates unevenly all over the face and looks like a splotchy, greasy messy even before lunch - with or without primer and/or setting powder. Fork over the extra money and splurge on the new Vitalumiere Aqua Cream Compact if you are looking for a cream compact. Oily-combination and oily skins should stick to the Vitalumiere Liquid, as it controls oil best. Despite having super oily skin like your sister, I really wanted to try this out. But it sounds like this and all cream compacts, will separate on me within an hour or two. That's too bad! Maybe I can pick this one up in the BR range and use it as an undereye concealer; the pink will help neutralize and brighten that area. What do you think about that? And btw, I'm not sure if you wanted the abbreviation for Vitalumiere Aqua (in your hierarchy at the bottom) to be VAL since it should probably be "VLA" since that's the more logical one. Vita Lumiere Aqua = VLA, not VAL. I'm also surprised that you think PL is more dewy than VLA (or VAL haha). I experience longer weartime with the PF, but who knows. Foundations are so personal. VAL = Vitalumiere Aqua Liquid .. not Vita Lumiere Aqua. She wrote what she meant, no correction necessary. Want to try this one! I use the Chanel Vitalumiere Aqua Liquid in the summer nr 30 as well use the Perfection Lumiere now in the 30 do not get the same great colour match as with teh vitalumiere. I noticed you use 40 of the pf in the winter isn;t that to dark? Cant wait to try this foundation. 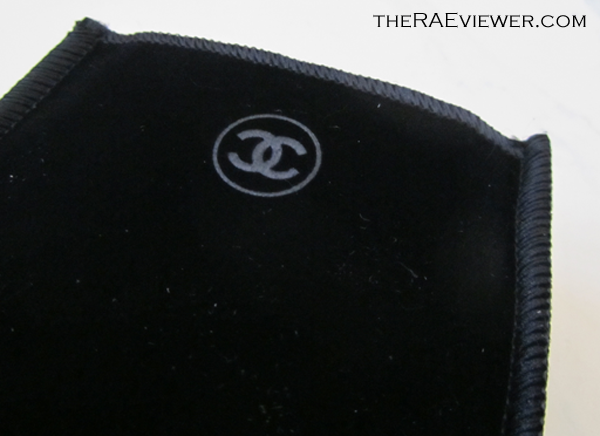 Chanel is one of my favorite brands! I'm very fair and was disappointed in the lightest shades offered in Perfection Lumiere. The rose was too pink and the beige was way too yellow and I usually opt for the nuptial/yellow shades. This was my first time trying Chanel foundation. I was surprised to find only two shades at the very pale end of the spectrum. Great review, Rae. I have mature (I'm 67) dry skin that has good tone and even color. I absolutely love this new foundation. 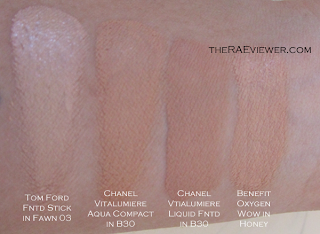 Like you, I apply it with Tom Ford's cream foundation brush which works perfectly with this particular formulation. I then set it with a light dusting of Guerlain's Météorites. Buildable coverage, "real skin" soft glow, long wearing--there are so many good things about this lovely new foundation. I was excited to purchase this in Beige 20. I liked this at first, but found that it settles into the fine lines too much because of its creamy consistency. The coverage is better than the liquid counter part though. Thanks for the review!!!! Just purchased!!! Great review!!! Would you do a tutorial video using this foundation? 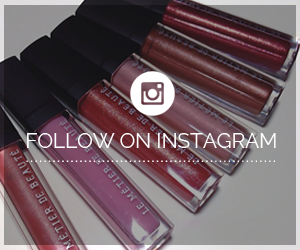 Would you be reviewing the new Dior Addict Extreme Lipsticks? Great review! Would you make a video to show the application for this foundation? I really want to know! Thanks! I bought this a couple weeks ago and I have extremely oily skin. 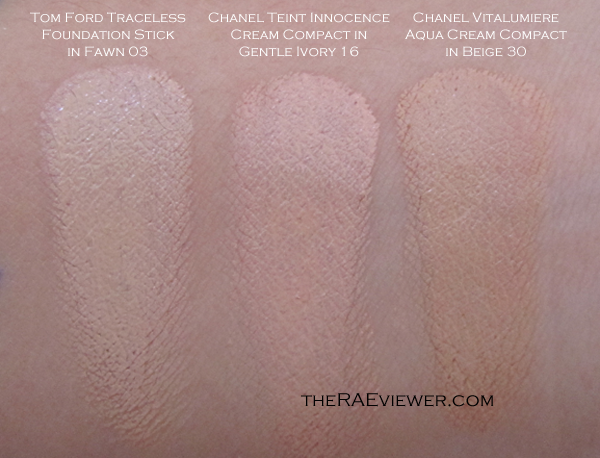 I would agree that the Vitalumiere Aqua in liquid foundation holds up better on my skin. I would say that the creme compact isn't the worst on dry patches, but I would say that it isn't as good as the liquid in this department either. The finish is beautiful, and when set with Chanel loose powder, the lasting power is about 3 hours of beautiful coverage. I don't think it goes patchy, but it wears away and shows the oil. I'm not sure it's worth the investment for oily skin girls. I have a couple videos in which I'm wearing the foundation. I just bought this today before seeing your review at my local Nordstrom and I love it. They also still had Teint Innocence compact for sale at the moment. I'm wondering if I should get a backup since it's being discontinued. By the way Rae, what's your shade in the Vitalumiere Aqua Liquid? Hey Rae! You going to do a video for this foundation? Great Review! I use the Hale #60 in Teint Innocence. 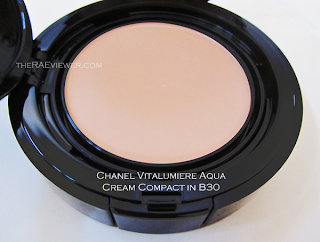 What would be the equivalent shade in the Vitalumiere cream compact? Great review :) I went and bought it today and the SA actually said whilst I was purchasing it that it will be refillable, and the refills will start being sold in May (in the UK). Just thought you'd like to know! would this foundation be good for dry skin? 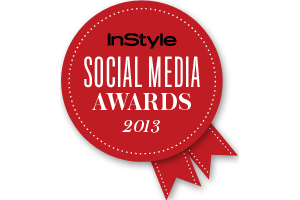 Thank you :)! I used it today, but I found that it separates on parts of my skin after about 4 hours :( I really wanted to love it, the coverage was great when first put on. Would you reccomend anything to prevent it from separating? I used a primer under it, could that be why? Another great review!thank you for being so thorough! Love that you included a Chanel line-up at the end too lol, I was just going to ask that question! WHat do you think of this compared to Chanel Teint innocence fluid foundation(now discontinued)? 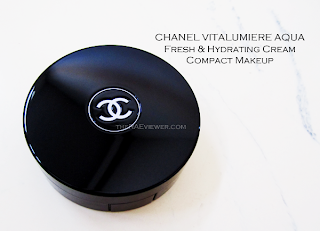 please do an video application tutorial of how to apply this Chanel Vitalumiere Aqua Cream Compact. thanks very much! hihi, wonder if you could do a tutorial on how to apply the cream compact? shld we apply moisturizer after a toned face before applying the cream compact for a dry/normal skin?? Thanks for the awesome review. I am a diehard fan of the teint innocence. Will definitely give this one a try. Anyone know what the equivalent color for wheat/hale is in the new compact?